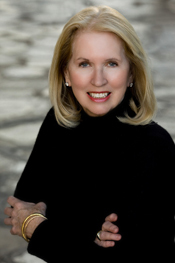 Courted by Sotheby's International Realty for her savvy sales acumen, negotiating proficiency, multi-faceted expertise and over 30 years of experience representing high-end products, Kathleen has become one of the firm's most respected real estate professionals. Recently, her combined skills enabled her to list and sell one of California's most magnificent properties, a $35 million Santa Barbara beach estate, in just two months. In 2006, she was ranked in the top 1% of agents in her firm nationwide, and negotiated the highest single-sided residential real estate transaction on the entire West Coast. Indeed, discriminating clients in Santa Barbara, Montecito, Minneapolis, Atlanta, and Naples, Florida have gained from Kathleen's proficiency not only in the field of real estate sales and marketing, but also in interior design and renovation. Higher closing revenue and fewer days on the market are the direct result of Kathleen's proven track record of impressively dressing a home for the marketplace, even for the most discriminating buyers. She states unconditionally, "Effectively enhancing a home frequently closes the transaction." Formerly co-owning a Montecito design firm, Kathleen has trained and worked with many of the most prestigious names in the design world, including Herman Miller, Baker, Scalamandre, Collins and Aikman, Haworth Systems and Holly Hunt. While sitting on the board of one of the largest proposed ocean front developments on the West Coast, Kathleen became increasingly interested in land use, architecture and interior design. She has owned, renovated, interior designed and sold her own properties, and was president of the Villa de Montecito Homeowners Association. Having lived on Lake Tahoe and Lake Minnetonka in addition to the Pacific Ocean, Kathleen is an avid water lover. She enjoys spending time on her boat, and gathering with clients and friends at the Santa Barbara Yacht Club. 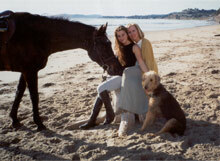 Kathleen's daughter Melanie has founded a cutting-edge non-profit organization (www.empowermentworks.org).